We are an ASP.Net web development company in Mumbai, India and have been providing .Net web development service since the past 10 years. Nimap infotech is very well-known in ASP.Net programming sector in Mumbai, India. We have catered to a huge number of clients across the globe successfully. Our team has worked on a wide array of Dot Net projects. 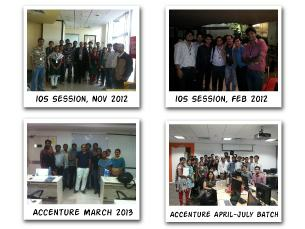 The team has a hands-on experience in the field of application development as well. Our mobile and Dot Net projects include websites for Wadia hospital, yourprice, holidaysmith, skin4gadets and much more. Why is Nimap the best site for Asp.Net training course in Mumbai? We are one of the finest institutes to provide Asp.Net training in Mumbai. Our Dot Net course will provide detailed knowledge about the process of ASP.Net website development. It is a step by step guide towards perfecting web programming. We have designed modules of ASP.Net for beginners in such a way that all the basics of ASP.Net will be covered. The module will cover all the aspects of asp.net mvc from the scratch. ASP.Net programming is a process that requires practice and our computer to student ratio is 1:1, so every student gets a personal practice PC to learn and practice better. We provide training on the latest computers which work on windows 8/10. Our faculties include industry experts with years of experience and knowledge in how to develop a website using ASP.Net. Our ASP.Net training using MVC course will include sessions where the students will learn .Net basics and will work their way to becoming professionals ASP.Net developers. Every .Net programming tutorial will provide details of each and every aspect of the ASP.Net website development. After completing Dot Net course, every student will get a web developer certificate which will prove the authenticity of the course. We not only provide training but also offer .Net web services and are one of the most reputed companies in the industry. Our Dot Net development team has catered successfully to clients across the globe. We provide the Asp.Net training in Mumbai at the most feasible rates, so nobody has to worry about the budget before beginning their career in ASP.Net programming. Building a good and rewarding career is every student's dream. So we have brought together the best faculties in the industry that will help students achieve their dreams. Since the launch of the first kind of internet i.e. the Intranet that was launched in the 1960s there has been no looking back for the internet. The internet is constantly growing and people will always want talented ASP.Net web developers for .Net projects. We know that technology constantly changes and requires the ASP.Net web developers to stay updated with the latest upgrades. So, our Asp.Net training course is always focused on teaching the latest updates in the industry. We acknowledge all our students with the latest web development technologies to ensure that our students never lack in matching the industry's requirements. We have worked on various projects that include mobile applications for android and iOS. We have always focused on providing the best of the services to our clients. Our list of mobile application includes the e-commerce calculator, banana uniform, product of a day, ZarJewels and a lot more. All softwares should be integrated in the system. Why MVC and MVC vs Webforms ?